At last, I’m free to speak about one of the most exciting things that we’ve been squirreling away on at TT Games for LEGO Marvel’s Avengers, outside of everything that already makes the game such a fun and authentic Marvel title (Yes, Squirrel Girl reference intended… sorry!). 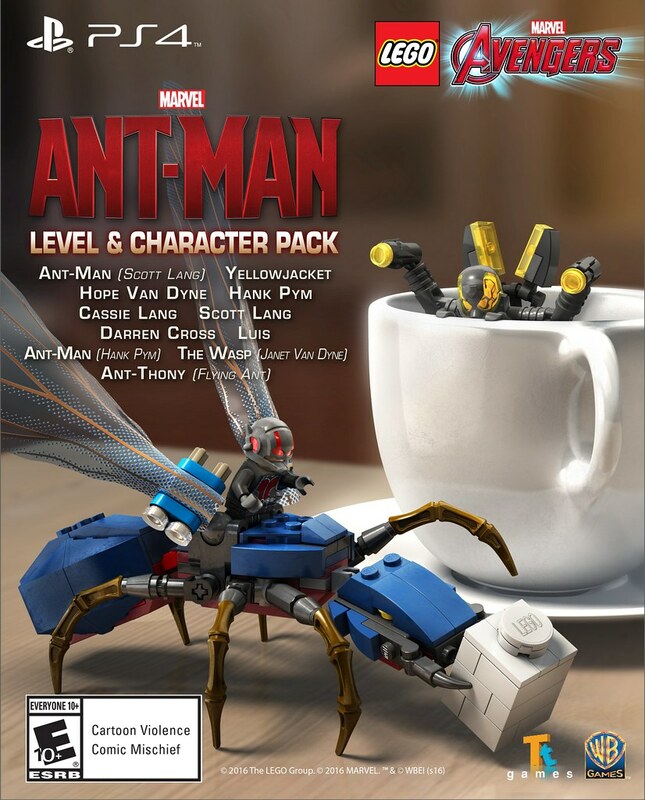 The second is the Ant-Man Character & Level Pack, of course based on the Ant-Man movie, which will be available later this spring. This pack features an awesome level based on a section of the film. It also has eleven great characters, including Ant-Man (Scott Lang), Ant-Man (Hank Pym), Ant-Thony (Flying Ant), Cassie Lang, Darren Cross, Scott Lang, Hank Pym, Hope Van Dyne, Luis, The Wasp (Janet Van Dyne), and Yellowjacket. We are really bringing Ant-Man and Yellowjacket to life with all the abilities that you’d expect them to have. The team and I here at TT Games are positive you will really enjoy this DLC offering. But, not only are we bringing you the characters and the level content, the part of this pack I’m most excited about… Ant-Thony the Ant! 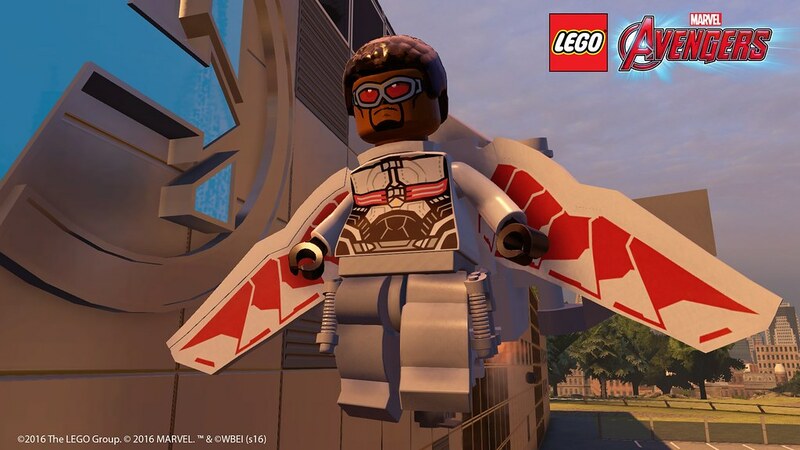 You’ll be able to fly around on Ant-Thony within the DLC level and then into the main game as well. When I watched the movie with the team, we really enjoyed it, so much so that I went back to watch it again the next day, and then saw the amazing playsets that LEGO created for the film so to now be able to pair those together and bring them to life in LEGO Marvel’s Avengers is yet another reason why this game has been an absolute delight to work on. In addition to the movie and comic content in the game, we’re really looking forward to hearing what you all think of the many new features in LEGO Marvel’s Avengers, specifically the Avengers Team-Ups. When you think of the Avengers, you think of teamwork, pulling together against adversity as a team. So, now you can team-up characters to perform incredible combo moves to take down the bad guys. Teaming up core Avengers results in unique moves based on the pairing so we hope you enjoy trying out all of the various combinations to see which is your favorite. For us, it’s yet another reason why LEGO Marvel’s Avengers has been such a pleasure to develop. All of us on the team here are Marvel fans so make sure you look out for the various references and nods we’ve put into the game to make it the most authentic and fun experience. We think that this is our best game yet — more humor, more characters, more features, more open world gameplay, more abilities, and of course, more movie content exclusively for PlayStation fans. 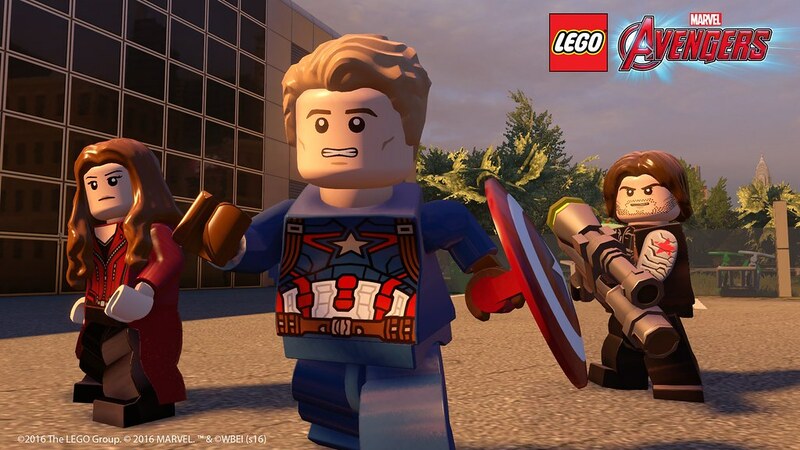 On behalf of myself and the team, we hope you have many hours of enjoyment when you play LEGO Marvel’s Avengers, and if you love it as much as we think you will, keep an eye out for the season pass content that we’ll be bringing your way featuring classic comic content as well as content from Marvel’s Agents of S.H.I.E.L.D.